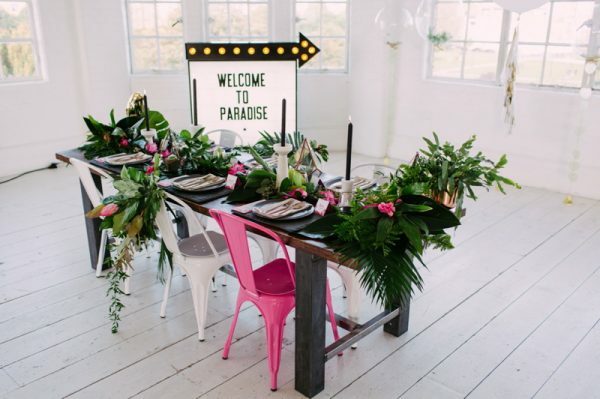 We’re all about those tropical Summer vibes when it comes to wedding themes. 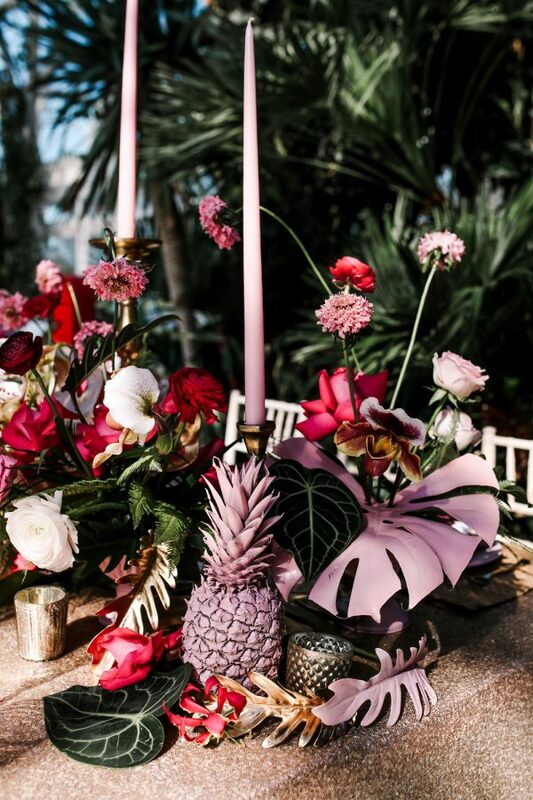 From hot pink Flamingo centrepieces teamed with rose gold pineapple decorations, a tropical wedding theme makes for ultra-cool table styling that’s seriously on-trend. Blush pink is still a hugely popular choice when it comes to pretty colour palettes for weddings. 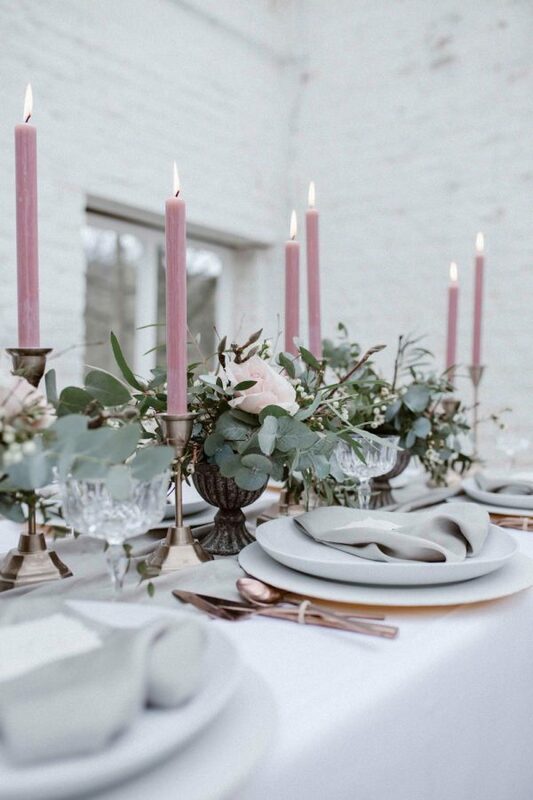 It’s romantic, feminine and utterly gorgeous, so don’t be afraid to use it in abundance throughout your wedding table styling. From your table runners, stationery or blooms, blush pink is the perfect choice for an enchanting Summer wedding. Urban or warehouse wedding venues with an industrial edge are still hot news for 2017. 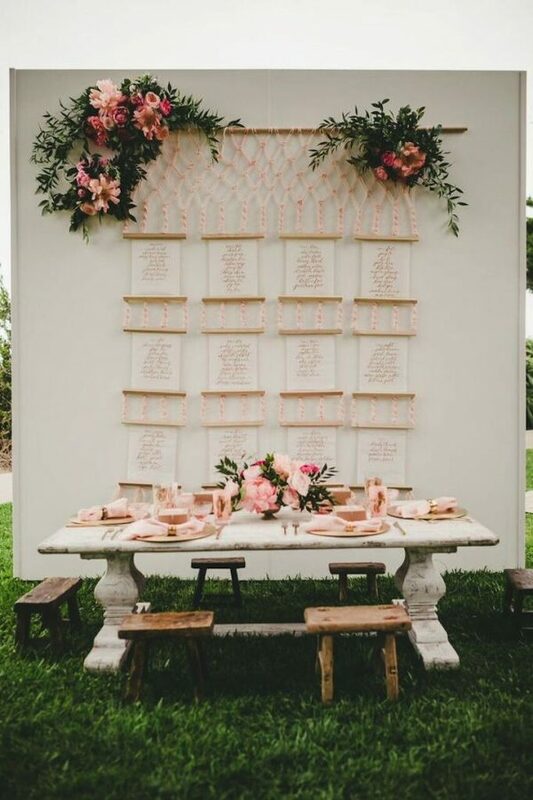 Team pretty pink details with industrial-inspired decorations for a gorgeous yet chic wedding theme. 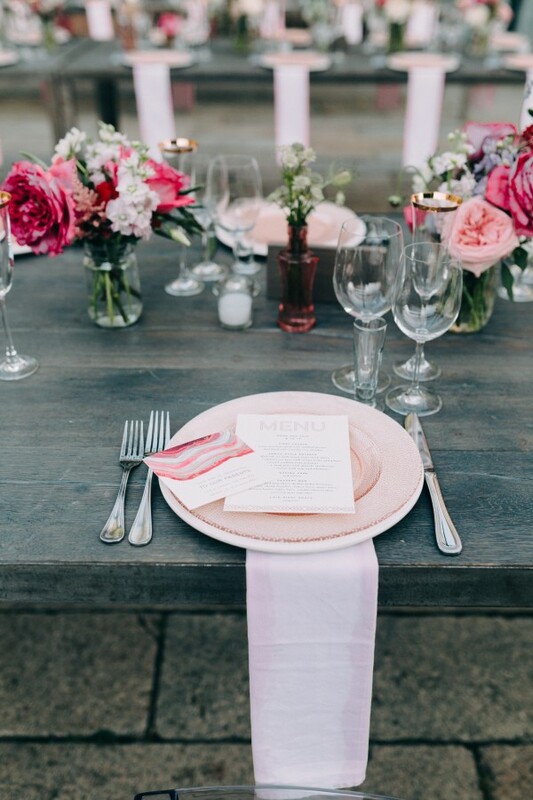 We’re talking pink blooms paired with charcoal black cutlery, against the backdrop of an exposed brick wall. Stylish, cool and the perfect fit for a Summer wedding. 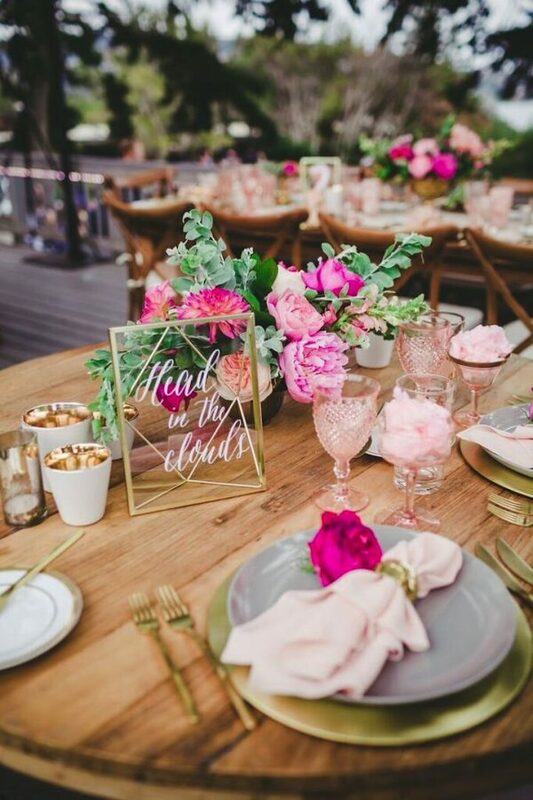 If you want to make the most of the beautiful blooms this Summer, use pink flowers throughout your wedding table styling. 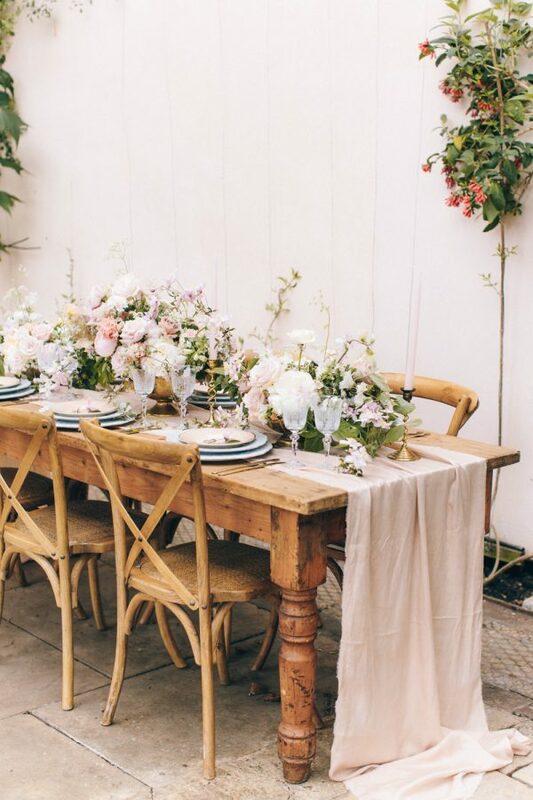 Vases, terrariums and jars bursting with pretty pink posies will look gorgeous dotted along wooden trestle tables. You can use floral illustrations on your table stationery, such as the table numbers, place settings or menus. Pink roses look lovely in each place setting and can even double up as floral wedding favours. As you know, we love all things minimalist and this wedding trend is here to stay! 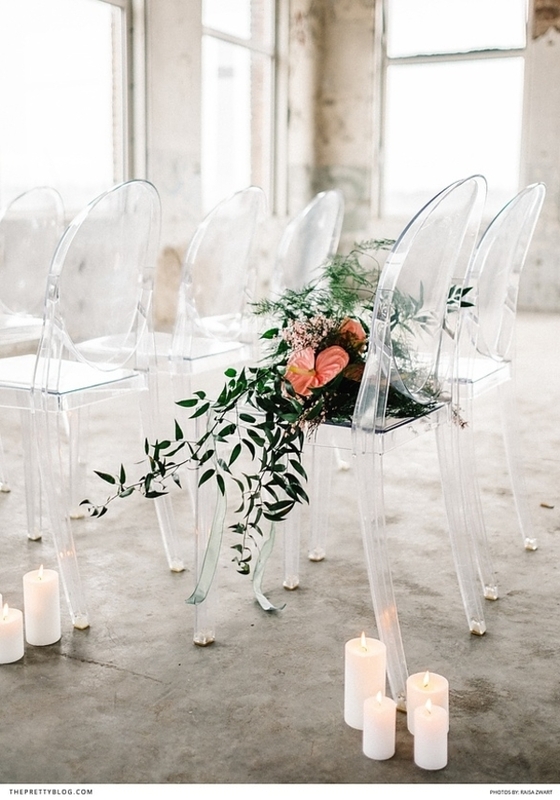 Acrylic or Perspex chairs are the perfect choice for your wedding guest tables. You could hang fuchsia pink flowers and foliage to the back of the chairs as stylish chair covers. Opt for acrylic wedding stationery to tie your theme in together beautifully. Add a dash of luxury to your wedding tables by using plush velvet armchairs as the Mr & Mrs chairs. Not only will they stand out from the rest of the chairs, they’ll look amazing at any type of wedding venue! They can also be used as fab props for your wedding photographs and by using a hot pink shade, they’re guaranteed to make a statement. Pink really is the perfect match for a range of metallic hues. From rose gold, copper or glittering gold, team a pink colour palette with metallic details for an ultra-stylish wedding table. 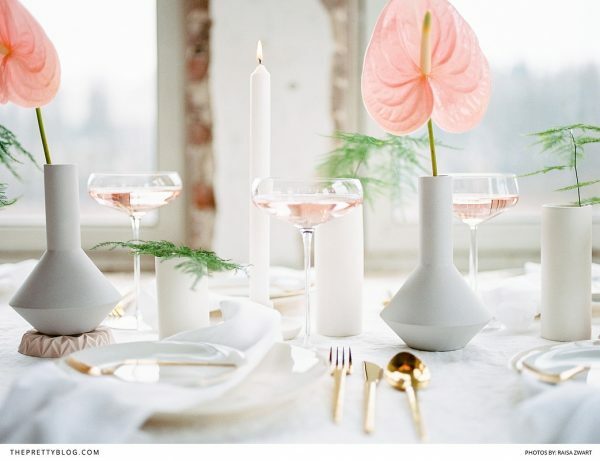 You can use copper candlesticks paired with pink candles, or fill rose gold vases with a variety of pink posies. Keep the same style throughout the rest of your wedding day by using pink and metallic decorations along your cake table and card table. Pretty pastel colour palettes are also making a comeback for 2017. Give your pastel colour scheme a modern touch by using pale pink flowers, foliage and greenery along your wedding tables. Keep it simple and chic by filling white vases with single pastel blooms. Pastel pink wedding stationery will look stunning set against the contrast of a crisp white table runner. Work in a few metallic hues for an extra touch of glamour! We’re huge fans of statement backdrops here at Flossy and Willow, whether it’s for your ceremony, cake table or the top table at your reception. A backdrop is the perfect opportunity to get creative while reflecting your wedding theme and your personalities. Plus, it’s bound to look incredible in your wedding photographs! If you’re in need of some further inspiration, take a look at our favourite wedding ideas over on the Flossy & Willow blog here.